It was supposed to be a two game weekend for the Timbermen but Saturday's game against Delta was cancelled due to a traffic accident. That game will be me made up at a later date. 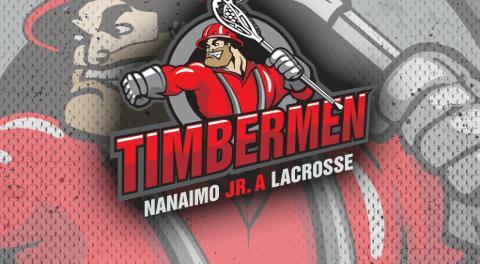 Sunday Nanaimo travelled to Coquitlam to take on the Adanacs. Coquitlam took a 15-5 win with Colton Lidstone pacing the Tmen attack with a goal and three assists. Colin Jeffrey made 30 saves for Nanaimo in the loss. This week is a massive island rivalry game with Victoria. The Shamrocks visit the NIC at 7:30pm on Tuesday.